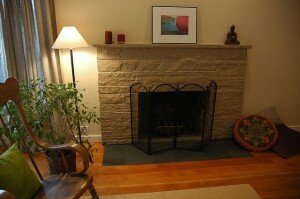 Planning to install an indoor fireplace? With natural stone veneers as I have found out you have many varieties to suit your taste and application. Natural stone thin veneer material is durable with little to no water absorption especially compared to the slightly porous man-made stone. 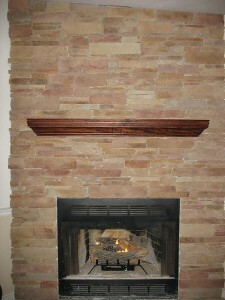 Great way to start your fireplace project. Lay them out first to ensure all the pieces fit together nicely. I can install natural stone thin veneer in a half the time I would use to install a full veneer. It has a thinner cut profile therefore I can lay it out without a brick or stone foundation ledge. This makes it quite good for a remodeling project and zero-clearance fireplaces. Being thin and relatively light in weight, I can basically install thin stone veneer anywhere aligning it to the vertical surface. Therefore, I don’t require footing for support. It is also easier to handle and I can quickly cut, trim and set it up which also lowers the installation costs. With more varieties that are now available I pre-cut thin stone veneer corner pieces just like a full veneer. 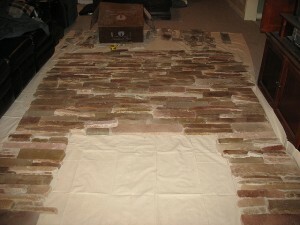 This makes thin stone veneer quite ideal for covering unwanted brick on a fireplace. The added aesthetic feature makes it a great addition to how my house looks. Though the material costs averagely about the same as a full stone veneer, I will ably handle a job using thin stone veneer than with the full veneer. Do I Have To Hire A Mason To Install The Natural Thin Veneer Or Can I Do It Myself? I can easily set up most patterned materials through a D-I-Y installation process. A professional mason can install the stone on my fireplace but if I follow the installation guidelines outlined by the stone suppliers, I am assured of getting the best results. What Is The Difference Between Natural Stone Thin Veneer Texas Material And A Man-Made Stone? Compared to man-made stone, natural thin veneer is unique in both color and shape. The stone has no color differences from flats to corner or flats to flats because it is not made from varying manufactured runs. I can also custom cut it and trim it to my specifications. Great thing is that you can also by pre-cut corner pieces – so it looks like a real piece of brick on the corners. 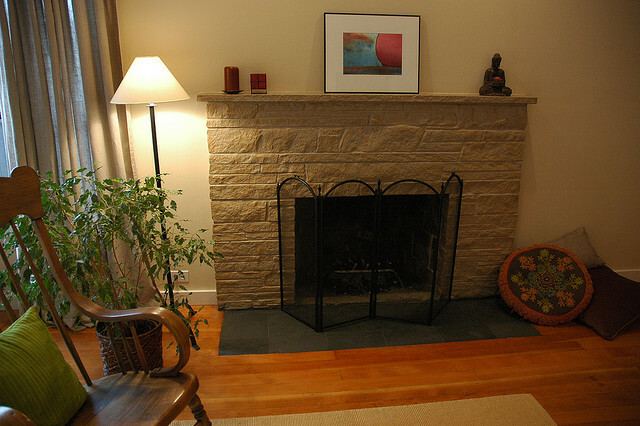 Do I Require A Sealer For The Thin Stone Veneer Installed On A Fireplace? I don’t require a sealer to seal my stonework but where necessary there are a variety of sealers I can choose from. There are good sealers that when applied well can change the appearance of my fireplace and also enhance the color of the stone and even give it a wet look. Will I Need Any Extra Floor Support If I Plan To Finish The Fireplace With Natural Stone Thin Veneer All The Way Up To The Ceiling? In most cases, I won’t require an extra floor support to handle such a task. It is however a major concern and therefore I can check with my contractor or mason for further approval before proceeding with the job. Generally, apart from being affordable and easily customizable, natural stone thin veneer will not only add value to my home but I can also install it myself in the process saving additional money I can commit to other remodeling projects. I found some YouTube videos I watched to help me with the thin stone veneer project. I found that getting stone straight from the quarry cuts out the middle man and is far more cost effective. I found one Quarry that was near me.